Transformit has been a member of the Industrial Fabrics Association International (IFAI), a member-driven trade association representing the global industrial fabrics industry, for over 25 years. The IFAI's International Achievement Awards (IAA) are an annual competition with a goal to promote awareness of the specialty fabrics used in thousands of products and applications. For more than 70 years, the awards have recognized innovation, technical skill and design excellence. Entries are judged by industry experts, editors, architects, educators and design professionals who were selected for their knowledge in particular field of study or product area. 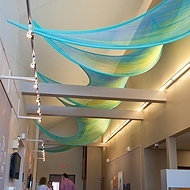 In late September at the IFAI Expo 2017 in New Orleans Transformit was honored by the IFAI with an “Award of Excellence in Fabric Art” for Cynthia Thompson’s installation Aqua Vibrant and an “Award of Excellence in Interior Display” for our Angel Cherub. 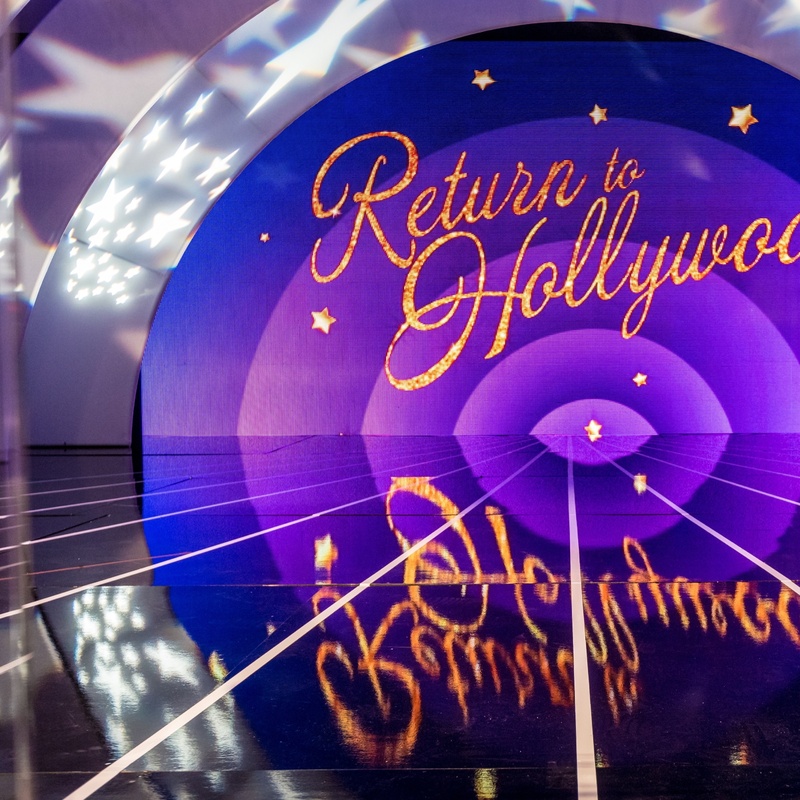 Additionally, the IFAI recognized Transformit’s Hollywood Arches stage set created in collaboration with the Art Directors Guild as an “Outstanding Achievement in Interior Display”. 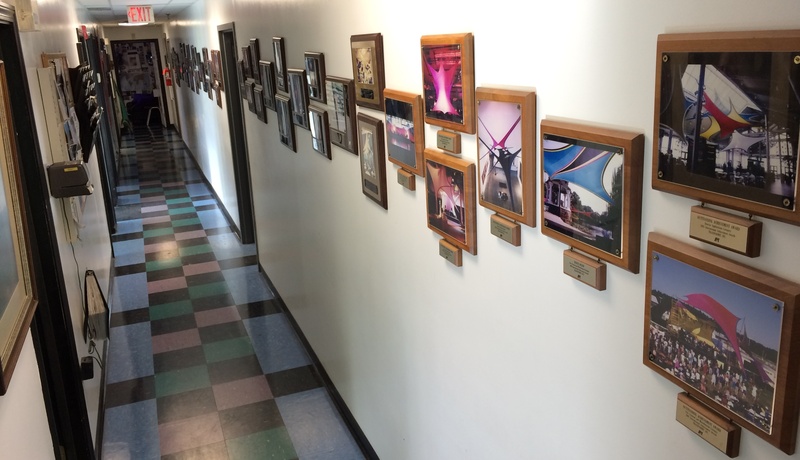 The hallway wall between our offices and studio lined with 26 years of IFAI IAA awards. These three awards represent our 50th, 51st and 52nd IAA from the IFAI. Transformit's first IAA was awarded in 1991. Transformit actually won two that year, one in the category "New, Unusual and Miscellaneous". Cynthia and her fledgling company were clearly stretching (sorry, pun intended) the norms of fabric art and fabric architectural forms. Twenty six years later we're still as delighted as ever to be innovating, designing and creating with fabric for architects, designers, events and clients the world over. Techinically the IAA's are awards, but we like to think of them as hugs. And Transformit loves hugs!